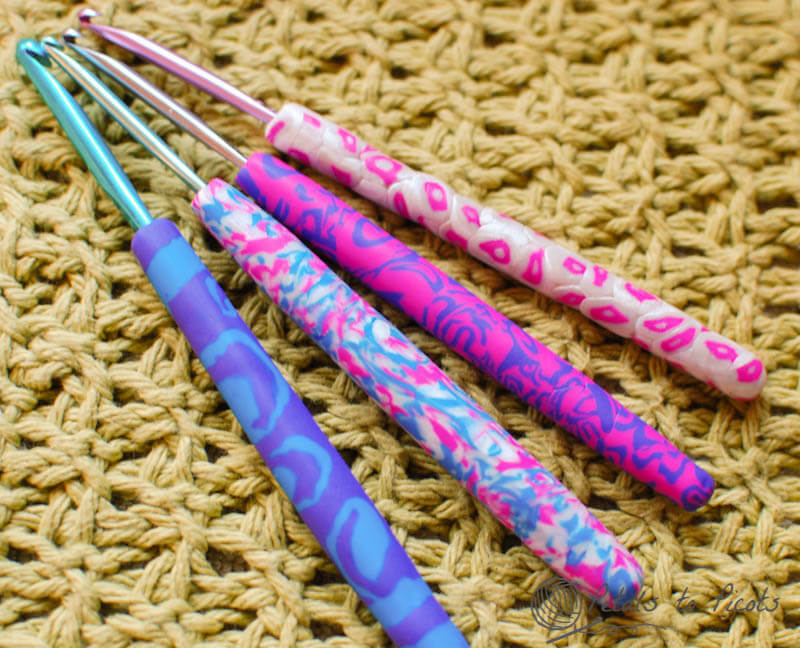 Ever since I saw the polymer clay crochet hooks that Rajeswari from Diaper Mum made I have been itching to make some of my own (you can check out her hooks here). I have always loved doing pottery and working with clay but have never tried polymer clay before. It was so much fun to blend the colors and decorate these hooks. What do you think? Not bad for a first-timer, huh? The pink and white one at the top was the first one I made and I didn’t quite blend the clay enough, but by the next few I think I got it down. 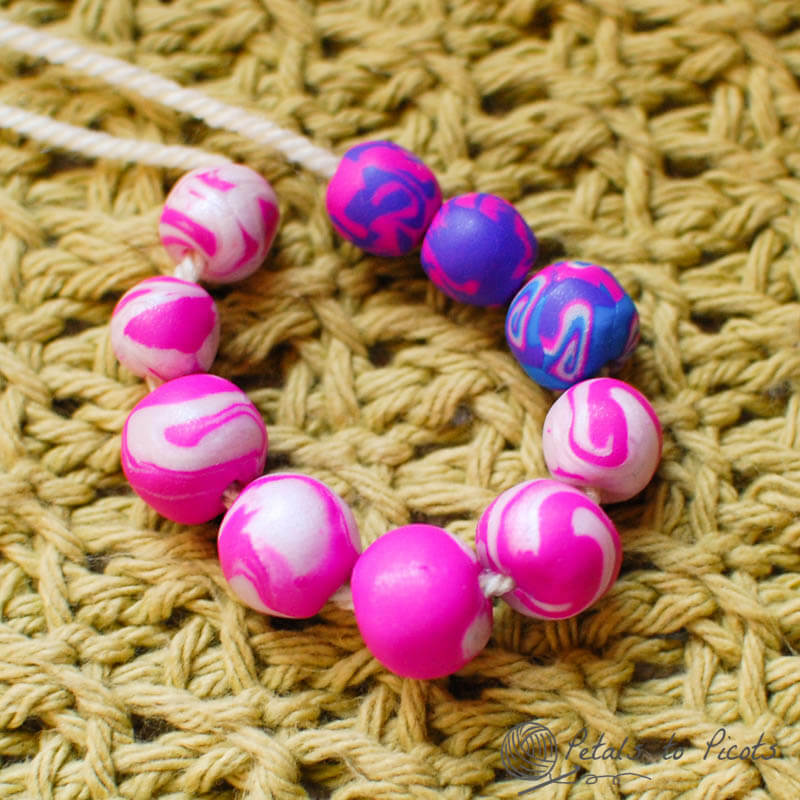 I even used some of the leftover clay to make myself a few beads. Your hooks are beautiful. Are they heavy in your hand when crocheting? How fun! So do you bake them? I’ve never worked with clay but it just sounds odd baking a crochet hook…I guess it’s metal though so it should be ok I guess. Yes, it does sound odd but that’s exactly what I did, lol! Love the hooks ! And the beads too ! YOu need to sell those babies, super profesh!